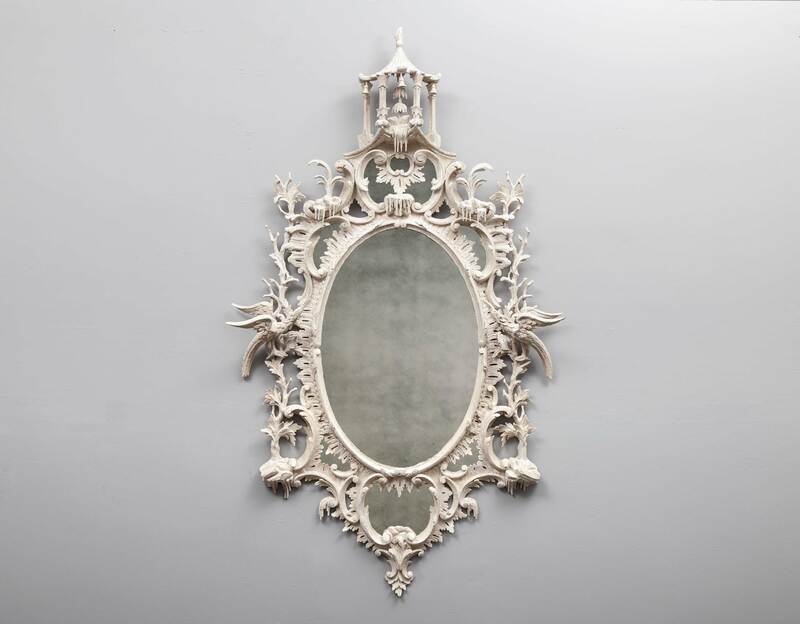 The exceptionally well-carved painted wooden frame, surrounds an oval centre mirror with shaped border mirrors to the top and bottom. 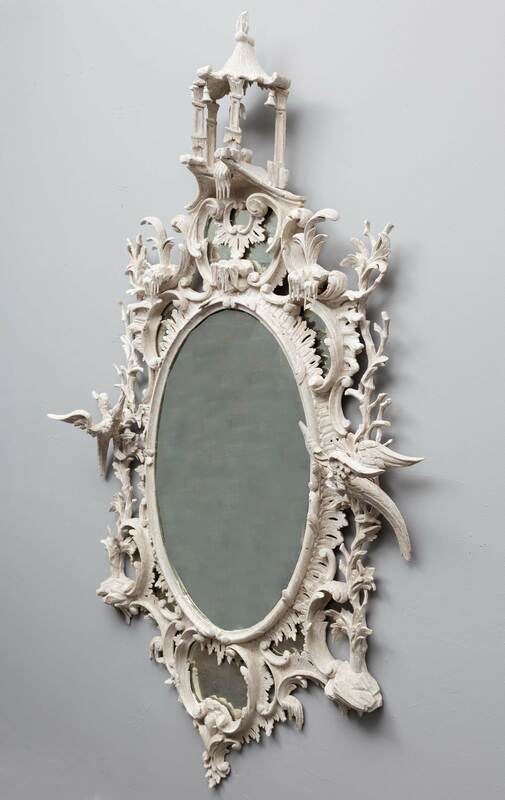 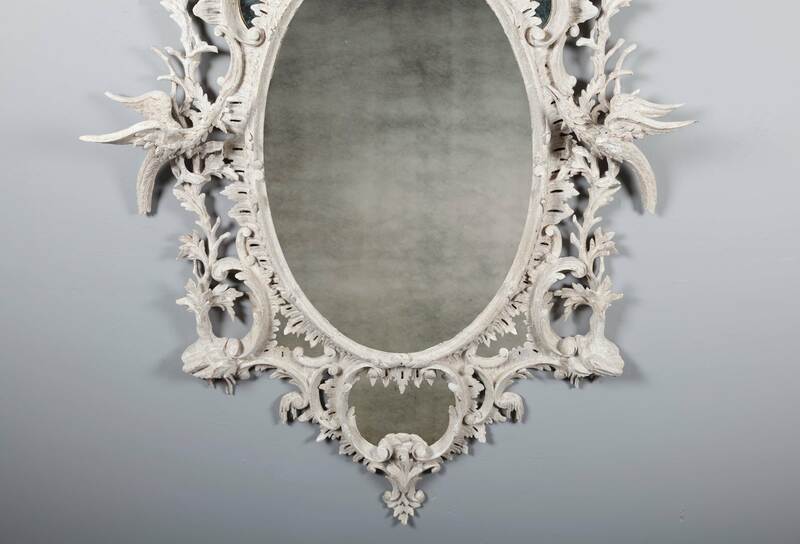 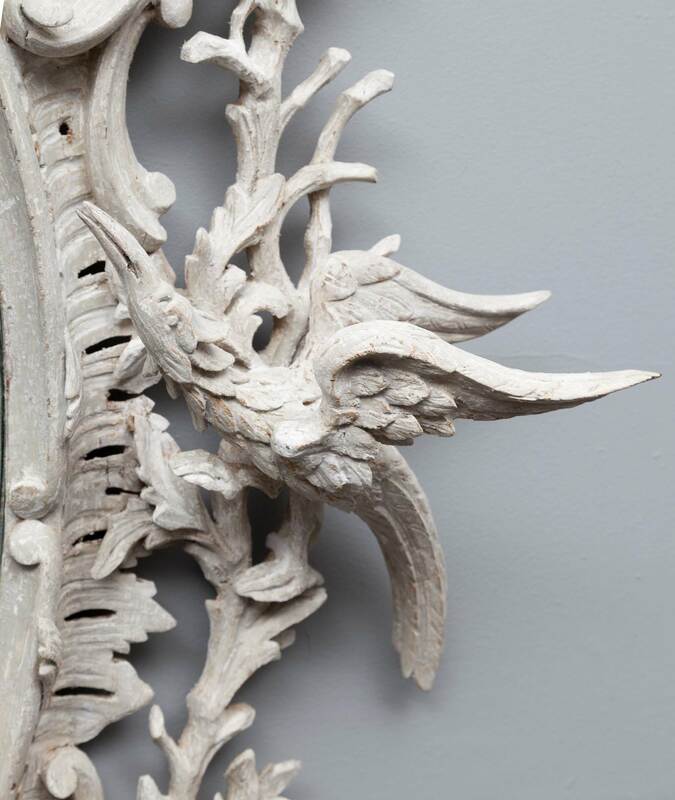 Made in the English Rococo style, this mirror bears many characteristics of Thomas Chippendale. 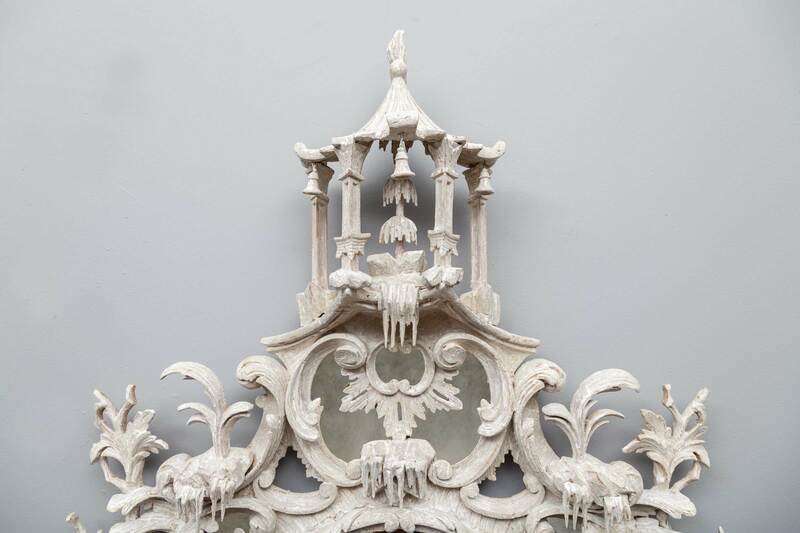 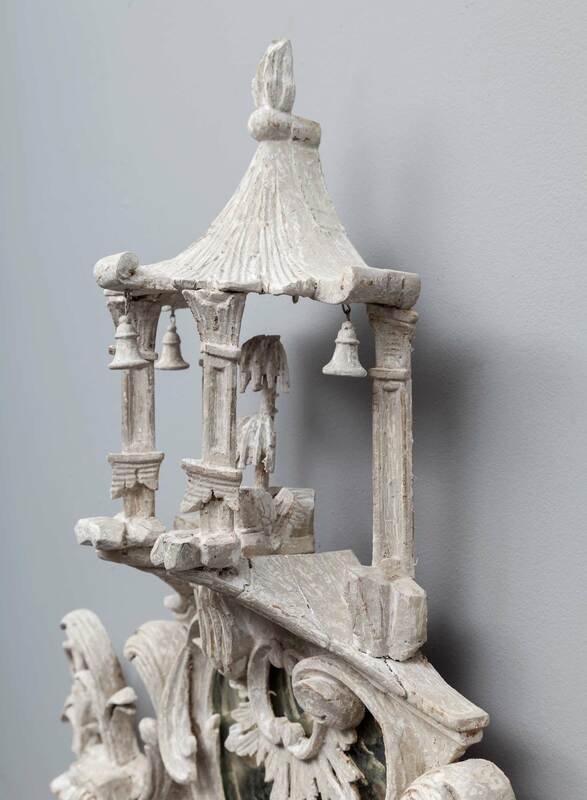 These include; acanthus sprays, rocaille, 3-dimensional ho-ho birds, C and S-scrolls, rock-work, floral garlands, branches and a pagoda cartouche with hanging bells.